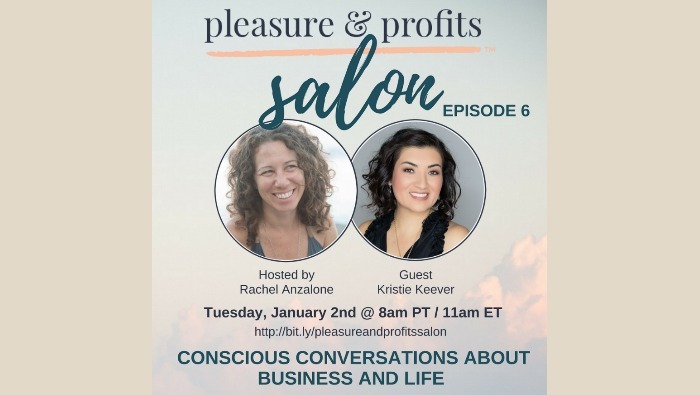 This week on Episode 6 of Pleasure & Profits Salon we’ll be exploring how to create space for expansion when your schedule is jam-packed. My guest Kristie Keever will share her own process and the impact it’s had on her business and life. Kristie Keever is a brand strategist and creative director behind numerous amazing personal brands. She helps women stand out and stay out in a sea of same-ness by creating smart strategies, engaging stories to attract their audience and a signature style that their dream clients can’t help but notice. Kristie brings over 20 years of brand building experience and caters specifically to women on a mission to build an empire with impact. Her mission is to create clarity from the complicated and to empower women to be seen in a way that makes them shine like the star that they are.